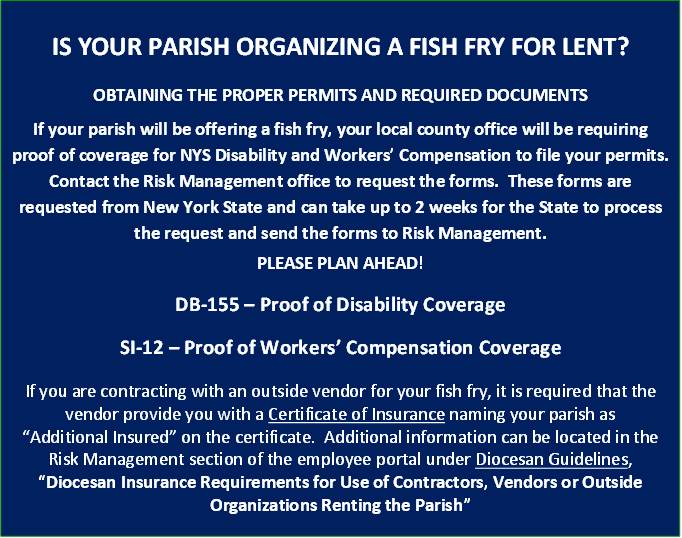 Activities and events that are sponsored by the Parish and/or Diocesan location do not require the purchase of Special Events Insurance. However, when you permit individuals / groups / organizations to use your premises for their own benefit, they need to purchase Special Events Insurance. If your parish is having a festival or bazaar, those events are "parish sponsored" so therefore the event is automatically insured by the Diocesan Self-Insurance Program. How do I know If my Parish has been named Additional Insured?